The original language for all Navixy products (the source language) is English. All additional and explanatory comments to improve your translations are also given in English. the languages to translate the source text into. email addresses of your translators. Click on the link in the email and you’ll be transferred to the translation service. 2. 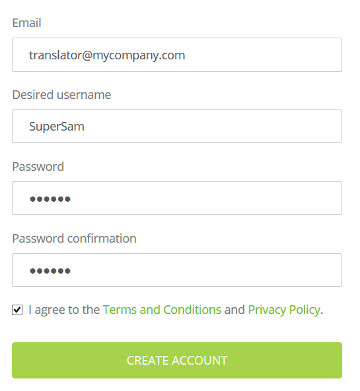 Create your account, log in and start translating.